Years ago I discovered an entry in the Hadleigh section of White`s Directory for 1848. It told me that a gentleman named Robert Thompson Archer was the Master of the Diocesan Commercial School in Hadleigh. 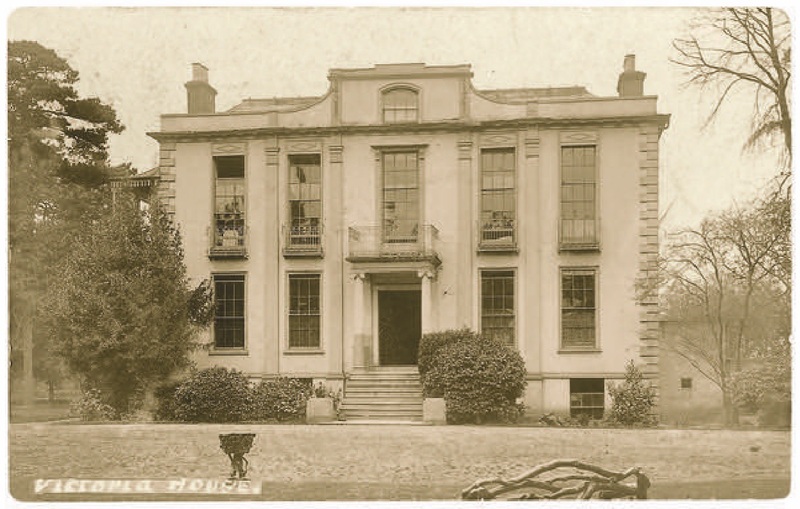 Only recently, thanks to the British Library`s wonderful newspaper website [www.britishnewspaperarchive.co.uk], I have discovered much more about this school which was housed briefly in Hadleigh Great House, later known as Victoria House. If you have been lucky enough to have read Chris Walpole`s fascinatingly detailed book, Tales out of School, which covers the life of Hadleigh`s National School, you will have learnt how the children of Hadleigh`s ordinary folk were educated in the 19th century from 1855 onwards. The Commercial School was a very different beast, coming into being before the National School and catering for the sons of the south Essex middle class. Whether any young residents of Hadleigh village attended the school we have no idea. The Chelmsford Chronicle advertised the opening of the Classical and Commercial School at Hadleigh House on Monday 10th January 1842. The Master was to be Mr Walter Lee who promised a “sound, useful and comprehensive education”. The idea for such a school was the brainchild of the Essex Diocesan Board of Education under whose auspices it was opened. The syllabus certainly demonstrated “comprehensive” and included daily religious instruction; reading, writing and English grammar; Greek and Latin; ancient and modern history; geography and the use of globes; arithmetic and commercial accounts; geometry, mensuration, mapping and algebra. Pupils would also have to suffer an annual public oral examination by clergymen appointed by the bishop. All pupils were to be boarders and the advert was keen to note that a “separate Bed will be provided for each Pupil”. For younger pupils the fee was £25 p.a. but once you reached your tenth birthday the fee rose to £30. Parents also had to fork out for the stationery and books and there was a £2 charge for the washing of linen. “….while so much has been done for promoting the education of the poor, we rejoice at witnessing the church establishing a school for the promotion of the education of the sons of so valuable a body of men as the farmers and tradesmen, whose higher interests have, we regret to say, been too long neglected, and whose children have been placed in consequence in an invidious position by the side of the better educated children of the labouring poor.”. The quotation above is almost certainly the result of the successful inspection recently carried out by Rev Round of Colchester and Rev Blomfield of Orsett. The 14 pupils were examined orally in a staggering collection of subjects including the book of Genesis, the history of England, geography, Latin grammar, Virgil, Xenophon, arithmetic and the 26 propositions of the 1st book of Euclid ! The report of the inspectors was sent to the Bishop of London who himself visited the school in November that year. The pupil numbers had risen since the examination to 22. The schoolroom was proving too cramped and it was to be developed to accommodate the rising numbers. Even more young lads were expected to join the school after Christmas. As reported in the newspaper, the bishop came away very well pleased and impressed. Further reports in the Chelmsford Chronicle during 1844 attest to the rising population of the school, more successful examinations and the skills of Walter Lee who was credited with the great success. The numbers reached 41 at one point and, of those, 30 were described as the sons of farmers and tradesmen. One or two sons of clergymen and professional men had been admitted by Lee and this had led to some complaints but, thought the newspaper`s correspondent, the school was not yet full and “The mixture of boys of different classes of society in the same school is just that which takes place in all our great public schools.”. Things continued to progress well at the Hadleigh Commercial School until 1847 when Walter Lee was elected to the Mastership of Billericay Grammar School. 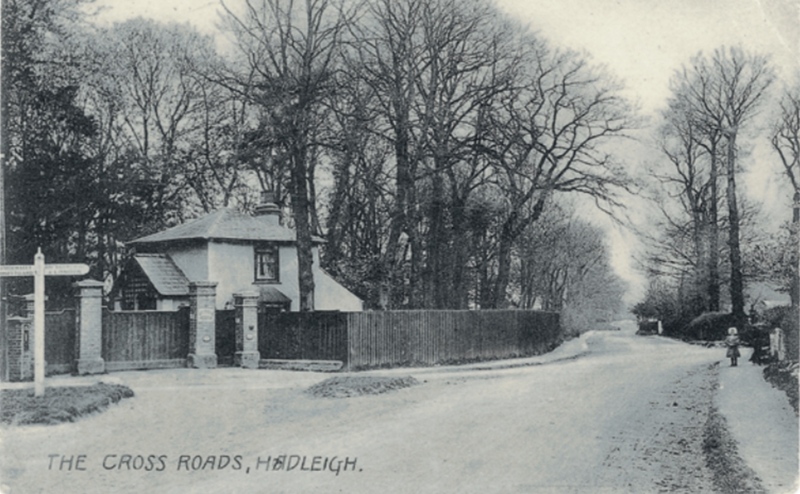 The Hadleigh post was advertised and the Chronicle reported that more than 30 teachers had applied. In December the newspaper reported that a Mr T. Ambler of Shooters Hill had successfully obtained the position and praised his qualities and his wife`s, “a most amiable and efficient cooperator in her husband`s duties.” Strangely though by the end of January an advert has been placed in the Chronicle advertising the school under the mastership of a Mr Couszens. The school was successfully inspected in December 1848 and the newspaper`s correspondent writes of how the school “seems rapidly progressing in public favour” and will undoubtedly continue to be highly respected. I have found no further reference to Robert Thompson Archer, mentioned in my opening paragraph. In November 1849 a Mr Rumann, “formerly Assistant Master the Diocesan School Hadleigh House” was advertising his new school at The Lawns, Rochford. My research continues but I would love to hear from anyone who can shed further light on this brief but bright flash of a school in Hadleigh.